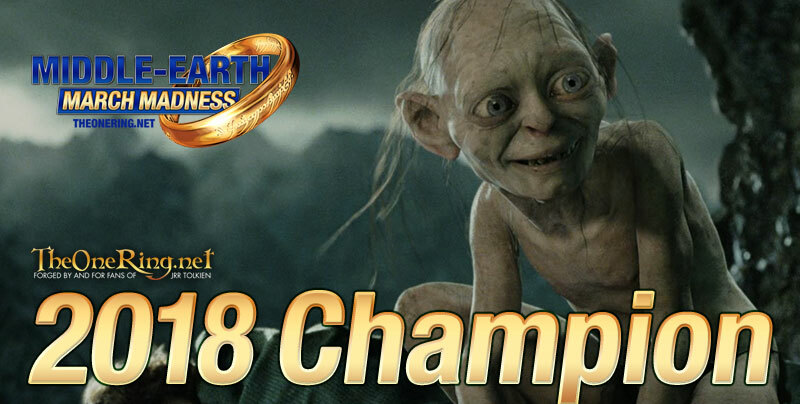 GOLLUM! That’s right, Stinker, Slinker, and Smeagol will all be celebrating, as Gollum is crowned Middle-earth March Madness Champion for the first time. His victory over Elrond was a surprisingly easy one, with the elf only managing to claim just under 38% of the vote. Our Facebook ‘exit poll’ suggested quite the opposite – there, Lord Elrond had 65% of the votes. Clearly, those folks didn’t make it over to the homepage to support their choice and see him home to victory! The 2018 edition of Middle-earth March Madness was one to remember, with over 160,000 votes cast! 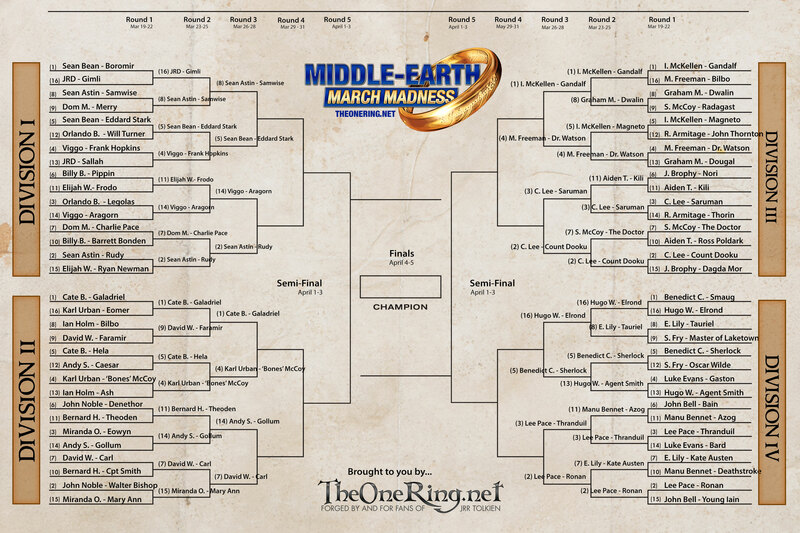 We hope you all enjoyed this year’s edition of Middle-earth March Madness – thanks for playing along. That’s it for 2018; join us same time, same place next year for more fun and games.